Samantha moved to New York in 2010 after graduation from the University of Wisconsin-Stout in Apparel Design and Development. She has been working at Beyond Costumes as Manager and Designer since 2012. 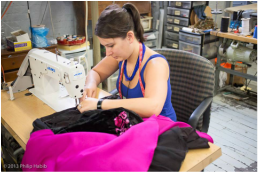 She designs costumes for theater productions, special events and TV/Film.